If your aim is a successful and professionally developed holiday in New Zealand, Australia or the south Pacific, we are your travel manager! For us, travel has always been a passion. Every trip, whether from our extensive pre-made packages or a custom created itinerary, is guaranteed to meet your satisfaction. Unsurpassed customer service is by far our most important aspiration. You can travel with piece of mind, while we make sure your journey goes ahead without any hassles. Our guides are always there to help you with anything you may need, while at the same time maintaining a knowledgeable and friendly level service. If you are travelling independently of a guide, we are just a phone call away to help you with anything you may need during your journey. Attention to detail is another priority, and as such we will amke sure every aspect of your holiday will go by without a hitch. Having realised all sorts of requests for all sorts of clients over the last 18 years has given us an unsurpassed level of knowledge and experience to say confidently that we are real travel managers! We welcome you to our part of the world! Here are just a few pieces of client feedback we have received over the last three years. At last, I take the opportunity to thank you sincerely for all your help. I really did appreciate your assistance. You are a very special person, with a beaut bus driver son. You have every right to be proud of him. He and Sharron made sure we had a wonderful tour. I thoroughly enjoyed my visit to N.Z.. I plan to come back some time and tour north of Auckland. I advise everyone this beautiful tour operator! 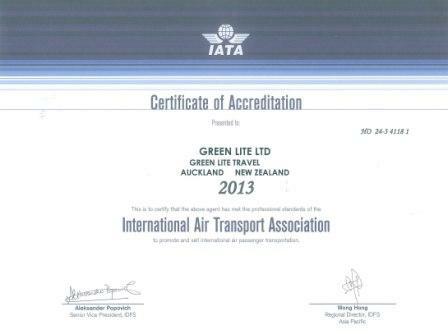 They are the best in New Zealand! 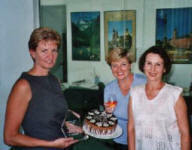 Maria Nowak is a very reliable, punctual, experienced guide with a very high sense of duty! Our clients were extremely pleased with every point of the program. Especially the lodge in Te Anau. They raved about the Milford cruise. 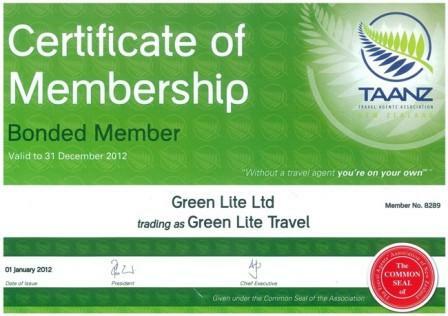 About Greenlite.travel they spoke only positives. Thanks again for the well prepared program. Thomas W, Air Tours Cracow Sp.z.o.o. The prize was awarded by representatives of the Polish Chamber of Tourism and Trade, for promoting a positive image of Poland abroad. The ceremony took place on Wednesday, October 19, 2011 in Poznan. Andrzej Kozlowski, president of the Polish Tourist Organization (government agency for promoting Poland abroad) and Boguslaw Nowak, director of Green Lite Travel, have signed an agreement covering cooperation in promoting Poland in New Zealand. 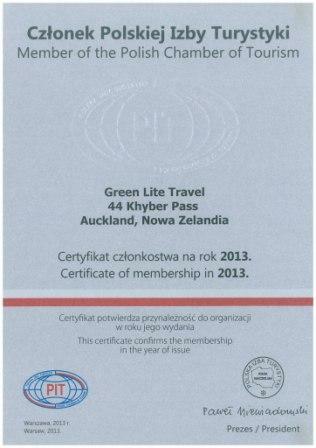 The agreement gives Green Lite Travel rights to use logo POLSKA and the title of POLISH PROMOTIONAL OFFICE. 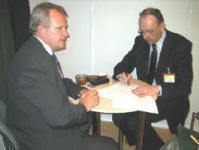 The Agreement was signed during Berlin’s ITB (the world’s biggest international travel show) in March 2004. 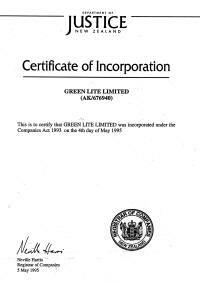 In 2001 Green Lite Travel proved it's status again, receiving an award from KLM, Royal Dutch Airlines New Zealand Regional Office. 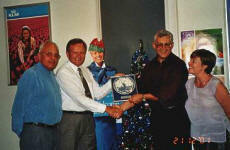 KLM New Zealand chose Green Lite Travel as the Agency of the Year for 2001. 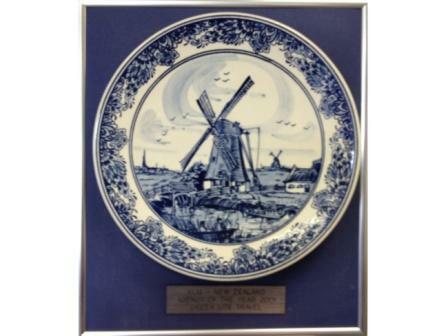 This honour given by the one of the world's largest airlines was another big, but pleasant, surprise for everyone involved in the company. 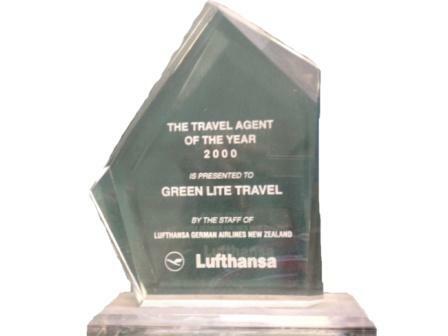 In 2000, Green Lite Travel achieved it's first major accomplishment by being named The Travel Agent of the Year 2000 by Lufthansa German Airlines New Zealand. This was a great surprise for the company directors and staff.